Ahlam Issa isn’t the kind of person who lets opportunities slip by. Born in Tanzania, Issa left the country at the tender age of 10 years old to live in St. Louis. She didn’t speak any English when she arrived but overcame that and other obstacles to graduate as valedictorian from Hazelwood East High School. 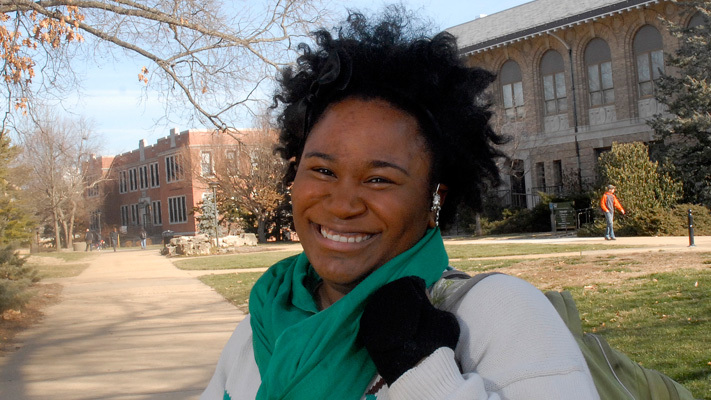 Now a senior in chemical engineering at Missouri S&T, Issa enjoys staying involved on campus. She’s a member of Miner Mentors, a student organization focused on promoting acceptance and understanding, and the National Society of Black Engineers. She’s also the student life editor for the Rollamo, the university’s yearbook. “Besides learning new things in the classroom, the most exciting part about college life is being involved — whether it be in organizations or Greek life,” she says. She says the campus atmosphere was a huge factor in her decision to attend S&T. After she graduates, Issa says she hopes to live in Texas and work for an oil company like Exxon or Chevron. Learn more about student organizations at Missouri S&T.